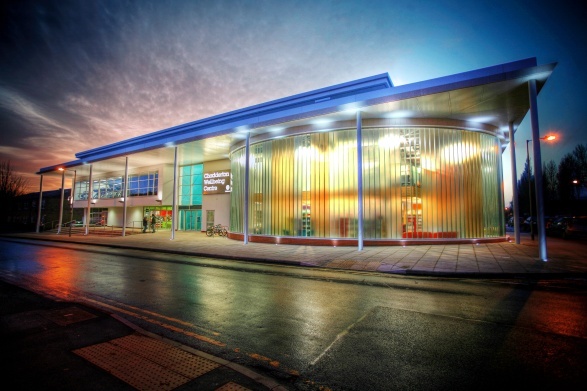 Chadderton Wellbeing Centre and the Oldham Integrated Care Centre have both achieved highly coveted ‘A’ rated energy performance certificates. 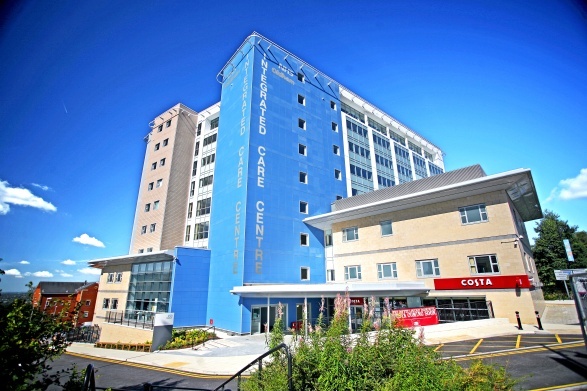 This rating was achieved by the range of sustainable features incorporated in the buildings, including solar shading, increased thermal insulation, rainwater harvesting (at Chadderton Wellbeing Centre) and, most notably, innovative Green2Go Combined Heat and Power (CHP) generating systems, which are powered by a bio-fuel based 100% on waste used cooking oil and provide all the heat and power requirements for the buildings. Uniquely, surplus power can be exported to the National Grid, allowing even greater off-setting of emissions. Green2Go collects waste used cooking oil from commercial and public sector buildings within the Oldham area, to be reused as a bio-fuel source to help power these public buildings. 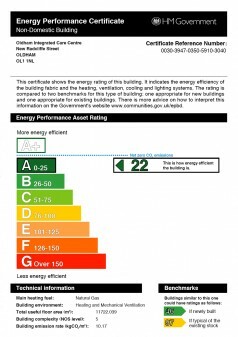 Collectively, these features have resulted in ‘A’ rated energy performance certificates, which show how energy efficient both buildings are. This is one of the highest ratings available and demonstrates the impact of the ground breaking technologies which exist in the buildings which are resulting in significantly reduced carbon emissions.